Women join Junior League for many reasons – networking, training, and leadership, to name just a few. For me, one of the main drivers was the opportunity to give back to the community. As part of the Junior League of Seattle (JLS), where part of the mission is to promote voluntarism, I knew that I’d have a chance to incorporate service back into my life. And so far, it’s been great – shifts organized by our Done in a Day committee allow our members to participate in a variety of activities, and through our work, the League is able to make a huge impact! Provisional members of the JLS have a requirement of four service shifts during their first year, and I’ve had the opportunity to participate in three. The first was through Treehouse Seattle, which provides support to foster children in the area. A group of ten of us spent an evening after work sorting, tagging, and stocking clothing items that would become available to the foster children who shop in their store, which usually sees 2,000 visitors annually. I’m sure that you could imagine how proud we were when the Treehouse representative working with us said that Junior League groups were her favorite to work with! It was such a fun evening getting to know other JLS members while supporting youth in foster care. 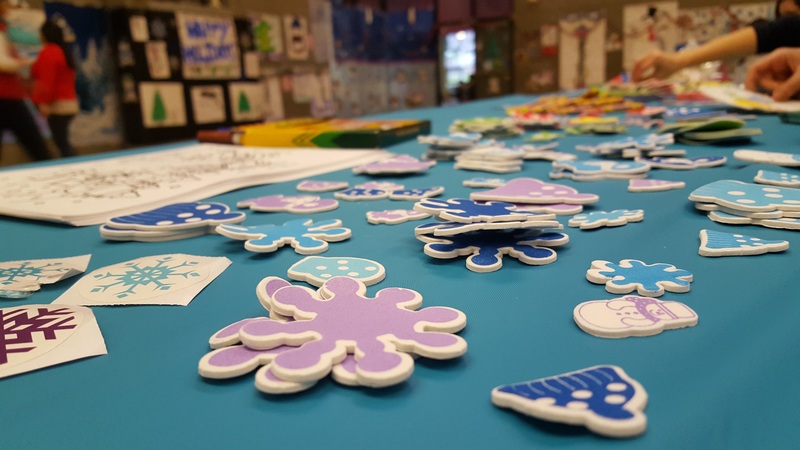 My second service shift was quite different: it was arts and crafts at Harborview’s annual Holiday Party, whose attendees were underprivileged youth who had once been patients there. It was Harborview’s 30th year organizing the event, and it showed: the festivities were incredibly well-run and enjoyed by nearly 600 children. Many of those kids wouldn’t have another holiday party throughout the season, but this was a great one to attend – the kids got to meet their favorite characters, such as Batman, Winnie the Pooh, and Snow White! The Sea Gals were also in attendance with the Mariners mascot, Moose. Kids got to play games, do arts and crafts with us, and even received gifts at the end of the day. What a fulfilling day and incredible feeling to take part in such a special event. 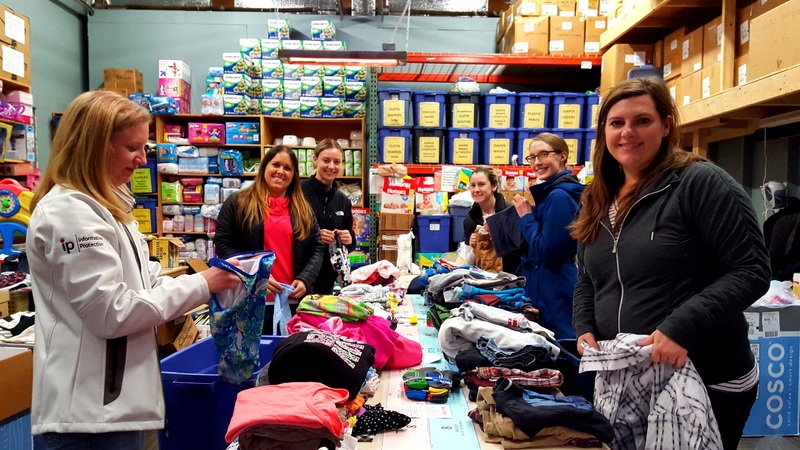 Most recently, I spent a morning over in Issaquah at Eastside Baby Corner with 13 members helping to sort and stock donated items, such as diapers, clothing, and toys. EBC provides these items to 500 families in need – per week! – through local social service agencies. I absolutely loved spending my time in this way while getting to know other Junior Leaguers, one of whom had even brought her husband to participate with us. It was clear that the work we were doing made a big difference. There’s a lot of power in numbers, and I think that’s one of the strengths of the Junior League. Together, we can accomplish a great amount, and I can already tell that our community partners – who are changing lives across the community – are so appreciative. For me, the difference we’re making together is the most rewarding part of being in this organization.